8 Inch Drop Forged C-Clamp with 4 Inch Throat Depth The BESSEY CM series light duty, drop forged C-Clamps are well priced and durable. These clamps are great for light duty welding, fabrication and woodworking. They are appropriate for many small jobs around the home workshop as they are light and strong. 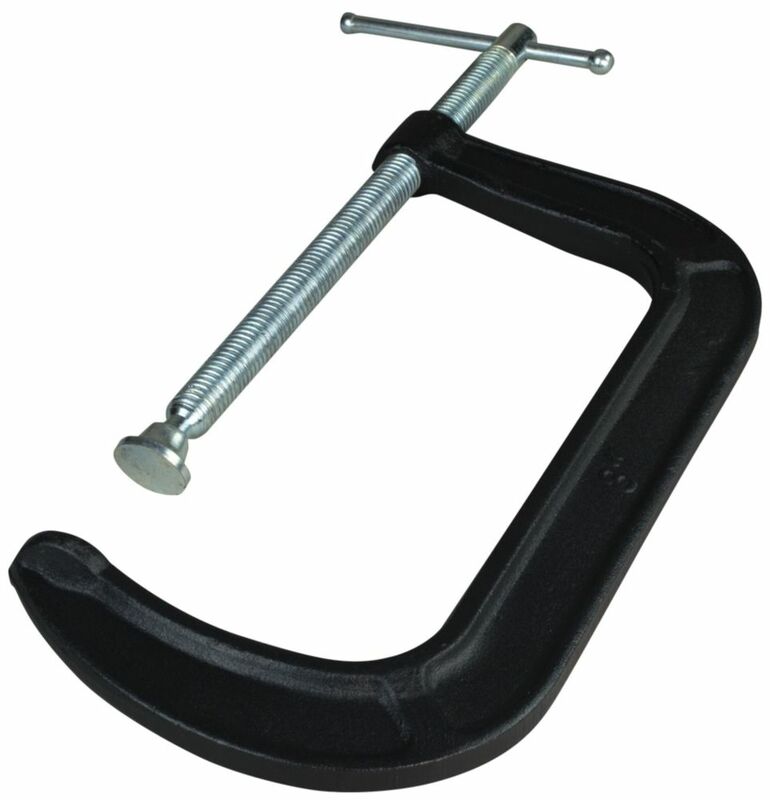 8 Inch Drop Forged C-Clamp with 4 Inch Throat Depth is rated 4.7 out of 5 by 9. Rated 5 out of 5 by Chosenottoprovide from These clamps were perfect in terms of cost and performance for what I needed them for. I would n... These clamps were perfect in terms of cost and performance for what I needed them for. I would not hesitate to use other Bessey products. Rated 5 out of 5 by tpbx from The depth makes a difference. This is very handy. Not expensive, and a good bit deeper than most of the alternatives. It is very to overlook that when buying a C-clamp, but it really broadens how you can use it. It has eliminated the need for most other clamping options on my workbench.